Guestbook Strathnaver, oban guest house. 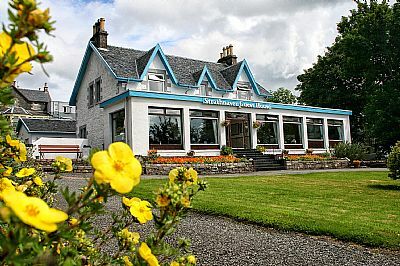 Here at Strathnaver guest house we welcome all comments and feedback from our guests. Please feel free to read through our guestbook and see what previous guests thought about us. If you do visit Strathnaver then please come back to the guest book after your stay tell us what you thought. "Lovely house, good food and lovely people. What more could we ask for! We thoroughly enjoyed our stay at Strathnaver. A warm welcome from John and Irene who were friendly and hepful during our stay. Strathnaver is ideally situated with a splendid view and near the town centre. Comfy bed, clean room and excellent breakfasts. If we are ever this way again we will certainly stay at Strathnaver. Thank you. To receive such a consistent standard of service is a very rare quality indeed, especially when such professionalism is delivered with genuine sincerity and a warm smile. How can you not want to return or recommend to your friends? Every single occasion that I have stayed at The Strathnaver I honestly do not want to leave. I have now made 5 visits to Strathnaver Guest House and the welcome from Irene and John gets better every time. I will certainly be back.